PTH 400 - Drum Chippers - Drum Chipper by Pezzolato S.p.A. This is our flagship model in the COMPACT range of Pezzolato drum chippers, both due to the number of units sold as well as due to the quality / price ratio that allows excellent production levels despite the machine being 'compact'. The particularly robust structure stands out because of the inlet mouth width which enables the passage of material up to 500 x 400 mm. This particular machine is ideal for those who produce wood chips as fuel for domestic heating systems, for agricultural tourism, hotels, greenhouses, schools, or for those who simply need to reduce the debris from pruning. It can be operated via the tractor PTO, or using an autonomous engine (diesel or electric) and it can be fed manually or using a mechanical loader. The entry of material is facilitated by a feed conveyor at the end of the inlet mouth (a double belt covering the entire surface of the hopper can be provided upon request). The combined action of the belt and upper roller facilitates the introduction of bulk material, even using mechanical loaders. Routine maintenance and the replacement of knives can be perfermed extremely quickly and easily thanks to the 'total' lifting of the feed roller. 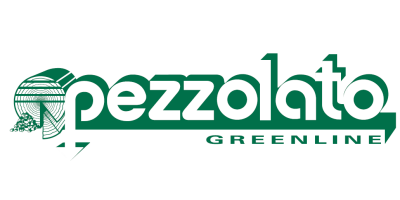 The sharp cut through blades and the large drum’s inertia reduce the machine’s efforts and stress, reducing maintenance and assuring many years of continued performance that Pezzolato owners around the world have become accustomed to. Standard: i.e. the traditional blade that has always been mounted on Pezzolato drum chippers. It allows setting different cutting lengths and is easy to replace, it can be sharpened up to 20 times, it is applicable to a special drum for producing extra size chips. Quick&Smart: provided with a revolutionary fixing system, it is fixed directly to the drum, is easy to handle and quick to replace, it costs 30% less than a traditional blade (to buy and to maintain), it can be sharpened 2 times. Chips size and features as produced by Pezzolato drum chippers has been analysed and verified by CNR IVALSA (National Research Council of Italy. Trees and Timber Institute). No reviews were found for Model PTH 400 - Drum Chipper. Be the first to review!